Disclaimer: I believe that there are no gurus. You are your own guru and the master of yourself. You know your strengths and your weaknesses. Having said that, we learn from sharing experiences. The idea of this post came after a 5 hour drive from Dallas to Odessa, TX and a cold shower. In other words, it was bugging me to write this post. So I'm in the middle of a business trip to Dallas, TX and I've learned about several friends and also direct clients that will be in the region on the exact same week. Due to this random but convenient occurrence, this week has become highly productive and will accelerate progress on my highest priority project. This event inspired today's post. First off, I avoid mainstream hype like the plague and I come from an electrical engineering background and at the end of the day things just have to make sense for me to believe in it. 1 + 1 must equal 2. 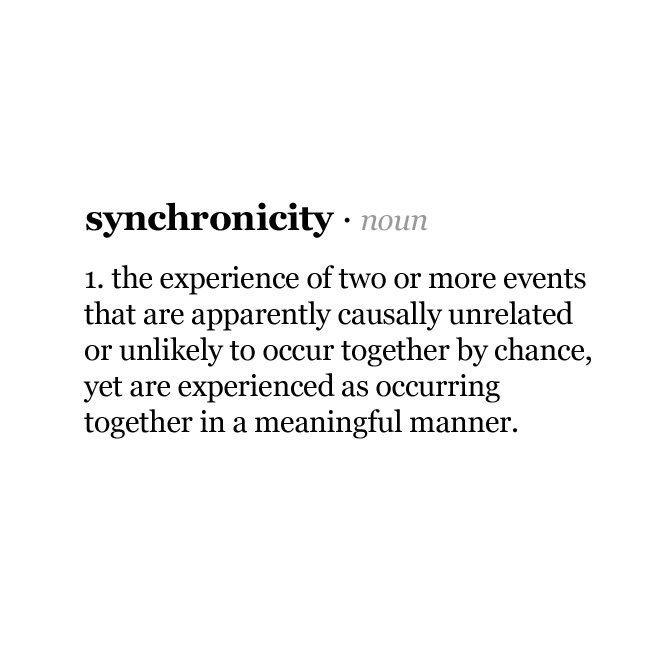 So what is the definition of synchronicity? From what I understand there are at least 10 different perspectives I've come across for this phenomenon. I'll do my best to explain what it means from my perspective. It's the morphic field putting things in order. People who like to invest in income properties in Texas like to network with other investors who do the same thing. Car enthusiasts wanting to spend time with car enthusiasts. A common passionate interest is a common love. For content creators, what we create becomes who we are. Meeting other people with same interests of content creation, is aligning to the same frequency. The field loves to put things in order like an accountant loves to see their balance sheets balance out in April. Another way to look at it is if you like a specific song by an artist, and meet other people who also like the same song, you are aligning to the same resonance. Same frequency in the field. Music is often the quickest way to build common rapport. Look at the 5 people you spend most time with and look at their musical tastes. Are they similar to yours? Next time you randomly bump into someone, ask them their favorite music or favorite song by their favorite artist. It's fast and easy. I like the song We Are The World that features my favorite artist (of all time) Michael Jackson. Just the whole idea is powerful. If I were to meet anyone that also loves this song the way I do, we are in alignment with a common interest. We have a connection. Especially if they grew up loving the song. How can we apply more synchronicity to our life ASAP? Short answer: come up with 1 goal, tell everyone you know your goal. This is based based on my experience. There's something about just getting it out there. Things happen. To get into a rhythm of repeating to yourself your goals, use the power of a a vision board or a daily mission statement. 1. Write your #1 goal in 7 years. Include a date. Note: Jeff Bezos, founder of Amazon, recommends 7 years for long term thinking, because most of the market is thinking 1-3 years, this is your edge. 2. Put it on your vision board or put it in a place where you will see it every day. 3. Read it everyday and tell or show people what you're doing. Showing is the best through pictures, videos, etc. It eliminates ambiguity. Pictures are worth a thousand words. Video is worth 1000 pictures. I hope this post is useful to you being the best version of yourself. A common theme is doing stuff with like-minded passionate people. So get out there, share, and get the body moving! P.S.S. 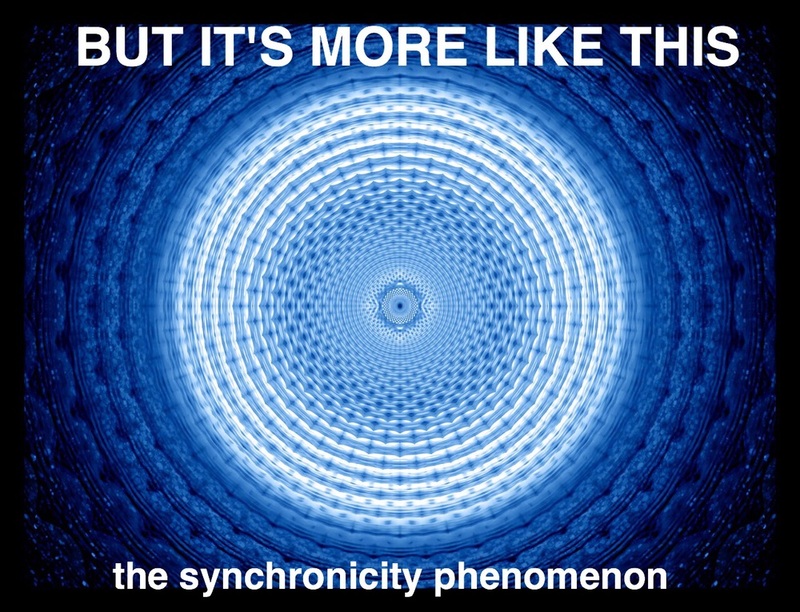 I will be uploading a video this year about the synchronicity phenomenon. Stay tuned! Guest Post: What Does #one Mean To Me?